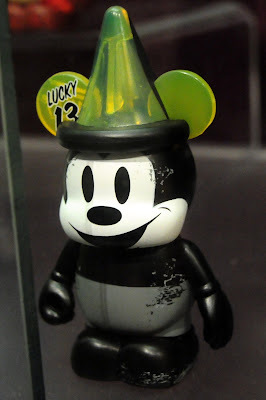 The Disney Parks Blog announced that the Oswald Vinylmation 2013 Poster Art Vinylmation figure, along with the pin, will be released in September along side the scheduled September Haunted Mansion Poster Art. 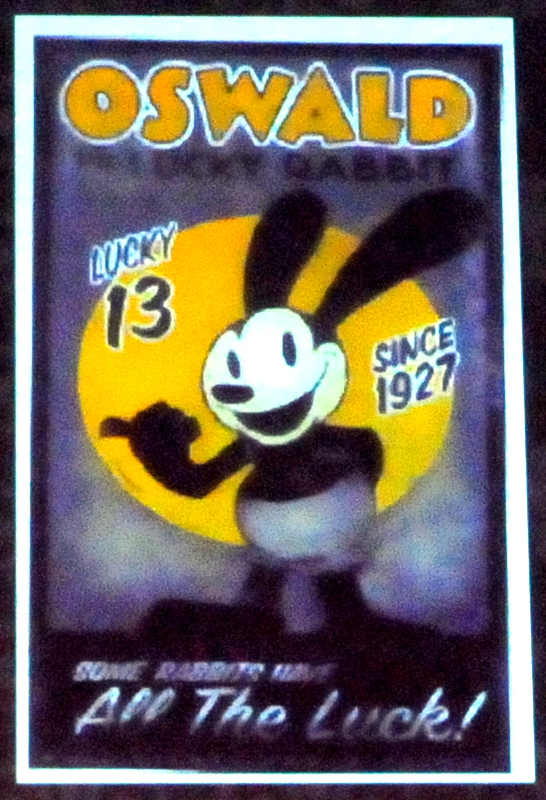 The poster art itself for Oswald was December 2012 on the previously released calendar. We did not know when this 13th figure would be released. Oswald should ONLY be released with Rabbit ears!! The poster is my favorite out of the calender, but the vinyl actually looks like Mickey with a yellow sorcerer hat to me.